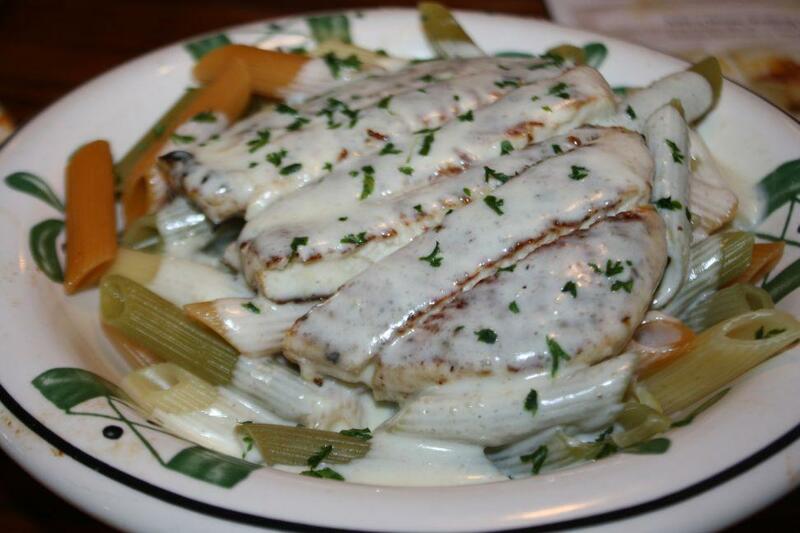 If you bring up Olive Garden's name in the right company, you'll get a smug eyeroll and a comment about "real" Italian food. I've never traveled further out of my tiny apartment than it takes to get to Olive Garden, and I don't ever plan to venture out that far again - but I think I know a thing or two about exotic cuisine. And I can say there's nothing more Italian than noodles that are vaguely the color of the Italian flag.